Prevention is the key!! Visit us to meet our friendly and professional hygienists and office staff. Along with quality work, you get a touch of humor as well. Prevention is the key to optimal oral health. It includes at-home dental care performed by patients, as well as dental care and education by professional dental staff in our office. Brushing twice a day with a fluoride toothpaste. Cleaning between the teeth daily with floss or other interdental cleaners. Eating a balanced diet that includes dietary fiber and limiting snacks. Dental caries (tooth decay) is caused by acid-producing bacteria that collect around the teeth and gingiva (gums) in a sticky, clear film called “plaque”. When plaque is left on teeth for a longer period, it builds up as tartar. Without good daily oral hygiene and regular dental visits, teeth become more vulnerable to caries. Brushing twice a day and cleaning between teeth with floss or another type of interdental cleaner help remove plaque. Why do we need a periodic exam? Dental problems never resolve on their own. In fact, they worsen over time if they are not properly treated. A examination by the dentist reveals decay, periodontal (gum) problems, other pathological issues, and oral cancer. A typical adult “recall” appointment includes a cleaning and x-rays with the hygienist, and periodic oral examination by the dentist. If signs of decay or other problems are diagnosed, we will discuss the recommended treatment to you. The dentist and/or hygienist will be happy to answer any of your questions. We, at Reddy Family Dental take pride in our Hygiene department. Our hygienists are professional, knowledgeable and thorough. Their warm and personable approach will put you at ease. We see patients on an appointment basis. We respect your time and make every effort to remain on schedule. Community water fluoridation is an extremely effective and inexpensive means of obtaining the fluoride necessary to prevent tooth decay. Studies prove that water fluoridation continues to be effective in reducing tooth decay by 20 to 40 percent. Key to good oral health is fluoride, a mineral that helps prevent caries and can repair teeth in the very early, microscopic stages of the disease. 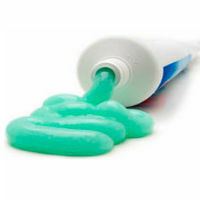 Fluoride can be obtained in two forms: topical and systemic. Topical fluorides are applied directly to the tooth enamel. All children at Reddy Family Dental are given fluoride treatments biannually at their cleaning visits. In-office fluoride treatments have also been used for many years to help protect the oral health of adults, those patients undergoing radiation therapy, or those on multiple medications that could potentially dry up the mouth resulting in dental decay. Systemic fluorides are those that are ingested. These are prescribed to children who live in non fluoridated communities. Systemic fluoride is essential for the proper formation and maturation of developing permanent teeth. Depending on your oral health status, fluoride treatments may be recommended every three, six or 12 months. We may also recommend additional preventive measures if you are at a moderate or high risk of developing caries. These measures may include over-the-counter or prescription therapeutic products such as fluoride mouth rinses, gels or antibacterial mouth rinses. Safe, convenient, effective fluoride fits naturally into any dental care program. The dentists and hygienists at Reddy Family Dental will be happy to discuss your current fluoride needs and recommend the right product for you. Sealant application is an easy and painless procedure. The sealant is painted onto the tooth enamel, where it bonds into the depressions and grooves (pits and fissures) of the chewing surfaces of back teeth. Dental sealants act as a barrier to prevent cavities. Sealants are a resin material usually applied to the chewing surfaces of the back teeth (premolars and molars) where decay occurs most often. They are recommended on all permanent molars and sometimes on baby teeth, if the child is more susceptible to dental decay. Thorough brushing and flossing help remove food particles and plaque from smooth surfaces of teeth. Toothbrush bristles cannot reach all the way into the depressions and grooves to extract food and plaque. Sealant application is an easy and painless procedure. The sealant is painted onto the tooth enamel, where it bonds into the depressions and grooves (pits and fissures) of the chewing surfaces of back teeth. The sealant acts as a barrier, protecting enamel from plaque and acids. As long as the sealant remains intact, the biting surface of the tooth will be protected from decay. Sealants hold up well under the force of normal chewing and may last several years before a re-application is needed. During your regular dental visits, your dentist will check the condition of the sealants and re-apply them when necessary. Grinding is a common occurrence for many people at some time or another. If you routinely grind your teeth, visit us for a consultation, we may be able to help. Do you often wake up with a dull headache or a sore jaw? Do you sometimes find yourself clenching your teeth? Until you experience pain or have a dental checkup, you may not realize that you have a condition called “bruxism”, a habit of grinding or clenching the teeth. Many people are unaware that they grind their teeth because they do it while they sleep. People who grind or clench their teeth may wake up with a headache, earache or toothache. Their facial muscles may be sore and the jaw joints tender. Bruxism could be the result or cause of other conditions such as a dysfunctional jaw joint (TMJ), an altered bite (malocclusion) or stress and fatigue. Based on the diagnosis at Reddy Family Dental, one or more treatments may be recommended. We may suggest a night guard that can be worn while sleeping. The night guard is custom made to fit your teeth. Night Guards have shown to relieve some of the pressure of grinding and clenching. Some cases may need additional treatment with a TMJ specialist. Sports Guards prevent an estimated 200,000 injuries a year in high school and college organized sports alone. Imagine what it would be like if you lost one or two of your front teeth. Smiling, talking and eating would all be very different and difficult! A properly fitted sports guard, or mouth protector, is an important piece of athletic gear that can help protect your smile. 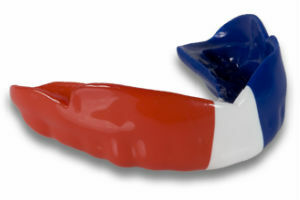 You may have seen mouth guards used in contact sports, particularly in football, boxing, ice hockey, lacrosse and field hockey. 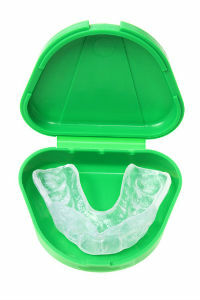 Mouth guards help cushion blows that might otherwise cause broken teeth and injuries to the lips, tongue, face or jaw. They also may reduce the severity and incidence of concussions. It is always recommended that everyone from children to adults, wear a sports guard during any recreational activity that might pose a risk of injury to the mouth. The most effective sports guard should be resilient, tear-resistant and comfortable. It should fit properly, be durable and easy to clean, and not resist your speech or breathing. Based on the protection level needed, cost and comfort, a sports guard could be custom made for you at Reddy Family Dental.